October was an Amazin’ month as the Mets won the pennant, and ASL Productions had huge shoots, all over the east coast. It started with a bang, well, more of a strain actually as ASL filmed video productions at three locations for Performance Sports and Spine Medicine, an orthopedic rehabilitation facility that focuses on non-surgical solutions. 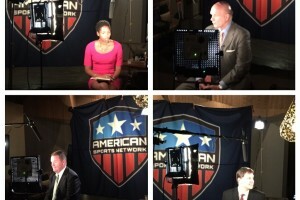 Next came shoots for American Sports Network with their on-air talent Monica McNutt. We sat down with NY Giants tight end Will Tye. Tye transferred from Florida State to tiny Stony Brook University, but the small program didn’t keep him from living out his dreams of playing in the NFL. We also headed over to Barclays Center for A10 basketball media day. Among our subjects were the legendary Phil Martelli of St. Joseph’s and Davidson’s Bob McKillop. Click HERE to see a montage of some of the lighter media day moments. Next we headed to Princeton University for stories on their men’s and women’s basketball programs. 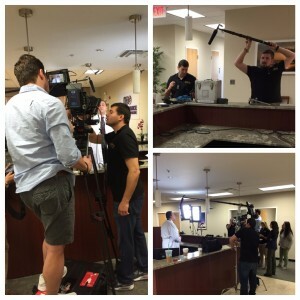 Also on the ASL agenda was another shoot with Cigna, to help their client Cognizant market their health insurance registration for 2016. This was our first opportunity to try out our new Kino Flo Diva 401 lights. The Diva’s provide a powerful yet soft light that spreads evenly, flattering any subject they are shining on. (Especially in ASL’s hands). As October progressed, ASL kept getting busier. We flew to Orlando to shoot five commercials for Jambu Adventure Designs. Our shoots included supermarket racing, a poolside office, and walking a pig on a leash. Everything was shot in 4K using the Red Dragon and Panasonic GH4. Take a look at a clip from one of the commercials below. Our live-stream production for Understood.org in the Sony Wondertech Laboratory During the same week as our Jambu shoots, we had two other exciting projects taking place. We produced a live-stream panel discussion for Understood.org at the Sony Wondertech Laboratory. 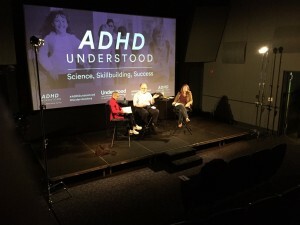 The panel discussed the current state of ADHD and misconceptions of the disorder. We also created content for PwC. They wanted us to showcase how they use the Google product suite to effectively share and communicate with clients. The room we shot in was a unique space with bright colors and an interestingly shaped table. We need to get one of those over here at the ASL offices. Okay sales pitch time. Don’t forget to like us on Facebook and follow us on Twitter. You can always visit our website at ASLProductions.com or email us at contact@ASLProductions.com. And of course if you have any video production needs, please reach out and we will get back to you immediately.